Rishikesh the place of yogis and sages. 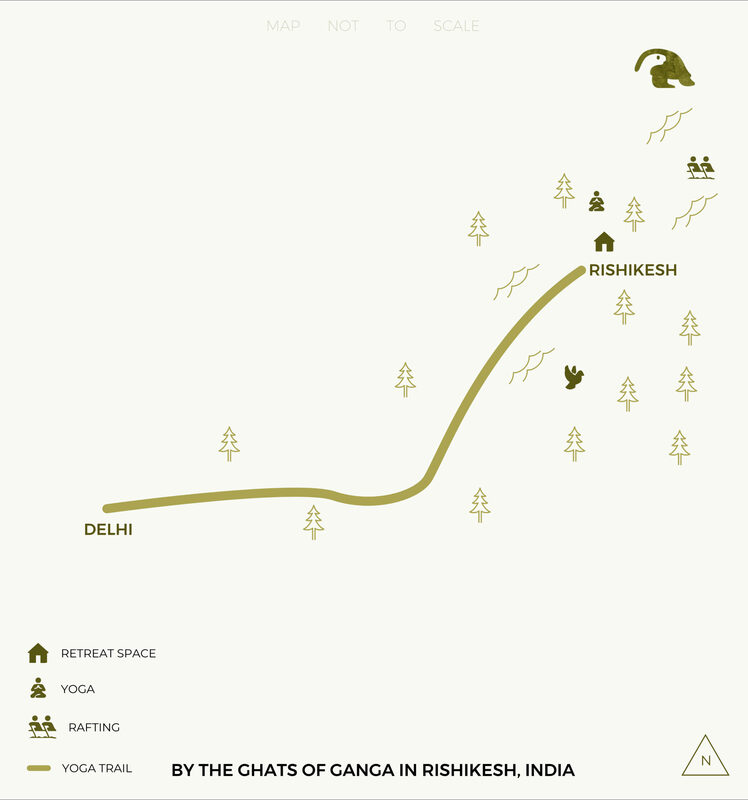 Rishikesh is one of the sacred in India which also the birthplace various forms of Yoga. Rishikesh is a yoga capital of the world where many ancient sages and yogis practice and develop the art of Yoga. The sacred Ganga, natural beauty and the spiritual background of the city of Rishikesh make it a divine place to practice yoga and meditation. The most sacred river in India is Ganga and the Rishikesh is situated at the bank of Ganga which brings the spiritual meaning to this place. Rishikesh is an ideal place to join a meditation and yoga retreats there are many yoga retreats that organized by many yoga schools, ashrams and yoga masters. 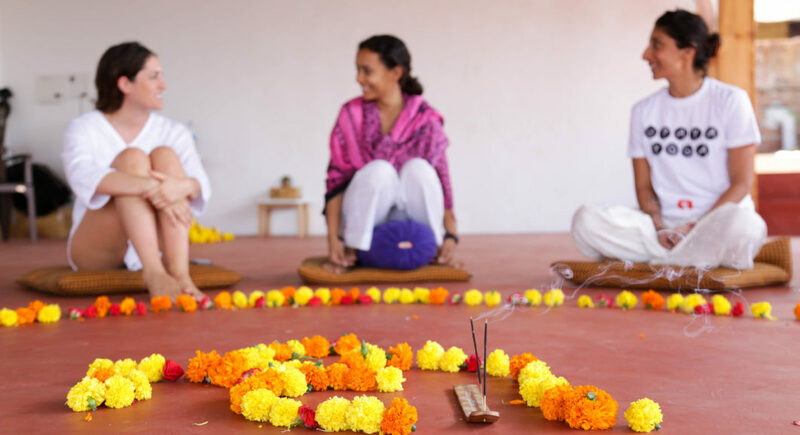 This is a spiritual yoga retreat to detoxify your body & mind with the help of yogic and naturopathic treatments. In this retreat, a balances sattvic diet will be provided to keep Vata, Pitta and Kapha dosa in a balanced. Various activities like Yoga Nidra, Pranayama, spiritual meditation and the sacred river Ganga to stimulate your Kundalini to reach a state of eternal bliss and tranquility. Early morning depart Delhi. After a 6-7hrs long drive arrives at the sacred city of Rishikesh and a short drive away from the hustle bustle of the main town is our retreat space on the banks of the River Him. This evening we start with a little opening circle and a fire ceremony by the river. Overnight. Early morning herbal drink to clear the system. Asana and pranayama session before we start therapy for the day. Mudpack, hot and cold compress, foot bath & steam bath. Enjoy a light breakfast before a relaxing massage session. Afternoon free at leisure. Evening light yoga stretches before an acupressure session. Post dinner we do some light mantra chanting before retiring for the night. This morning we do some yogic cleansing techniques called the Shatkarmas. Light asana and pranayama session. Today we explore deeper realms of our consciousness through the practice of Yoga Nidra. Evening massage session. Evening relaxes by the river or goes into town. Dinner and overnight. For the ones who are comfortable this morning we offer a short stomach and intestinal wash called the Laghoo Shankhaprakshalana (not enema). Relax through the day. Enjoy lots of meditation sessions, trataka, Yoga Nidra, chanting and some light massages. Evening closing fire ceremony. Light dinner and overnight. After an early morning session of asana and pranayama have a light breakfast before setting off for your journey ahead.